If you’re looking for RV campgrounds on Georgia’s low country coast, get ready for an unforgettable vacation. There’s nothing quite like your first drive out to coastal Georgia. As you pass through historic towns shaded by massive oak trees and lined with old Victorian mansions, the road will open up to wide open marshes and flat coastal grassland, and you’ll pass over a series of islands, each one a little different from the next. You’ll feel the wind in your hair and smell the salt from the sea mixed with the scent of fresh seafood boiling. From Hilton Head on the South Carolina border down to historic Savannah and the Golden Isles on the Florida border, this coastal region is one of the most unique and interesting in all of America. Georgia’s coastline is made up of low-lying, swampy marshland packed with 8 island clusters along just about 100 miles of coast. Four of these islands are accessible by car and RV. Staying in Georgia low country coast campgrounds is the best way to experience the region’s stunning scenery, rich culture, and intriguing history. You’ll be able to hop around to all the different islands while also experiencing the charming small cities that lie just inland of the coast. Because the area boasts perfect weather year-round, you can easily visit Georgia low country coast camping sites any time of year. The water is warm, the air is humid, and the soul food is plenty. In keeping with local tradition, Georgia low country coast RV park reviews attest that staff welcome visitors with heaping spoonfuls of southern hospitality. Now that you’re ready to take an oceanside road trip in the Peach State, here is the best RV camping near the Georgia low country coast. Conveniently located right off of I-95 in Brunswick, Georgia, this RV resort is just minutes from both Jekyll Island and Saint Simon’s Island, two of the most serene, picturesque islands on Georgia’s low country coast. While it’s a few miles from the beach, it’s located on the winding marshy canals that creep inland so still offers beautiful scenery, and it’s right by a travel hub where you’ll find coffee shops, diners, and gas stations as well as a number of other RV parks. This RV resort truly has a resort feel, from its beautiful, shaded campsites to its modern facilities and lovely on-site lake filled with paddle boats. The RV resort is quiet and peaceful while still offering a welcoming community and fun activities, and Georgia low country coast RV park reviews boast about the hospitality and helpfulness of the staff. More than anything, though, the location here is unbeatable. It’s convenient to all the amenities you could need while being just down the road from two of the state’s most treasured coastal areas. 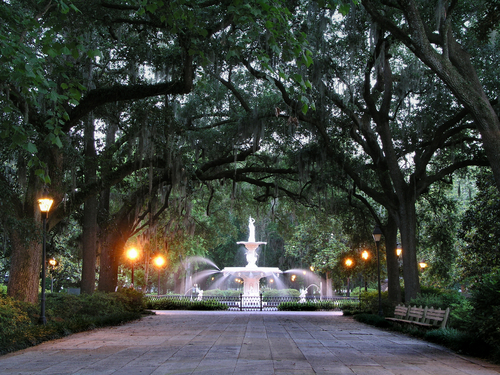 For those who want to check out the historic charm of the city of Savannah and also spend some time relaxing on the beach, Skidaway Island is the perfect middle ground between the two. This Georgia low country coast RV park sits just 15 minutes from the popular Tybee Island beach and 15 minutes from downtown Savannah. On top of that, it’s located on an island itself within the Skidaway Island State Park, so you don’t have to go anywhere to enjoy relaxation and nature. Staying in a state park is one of the best ways to enjoy your RV vacation. 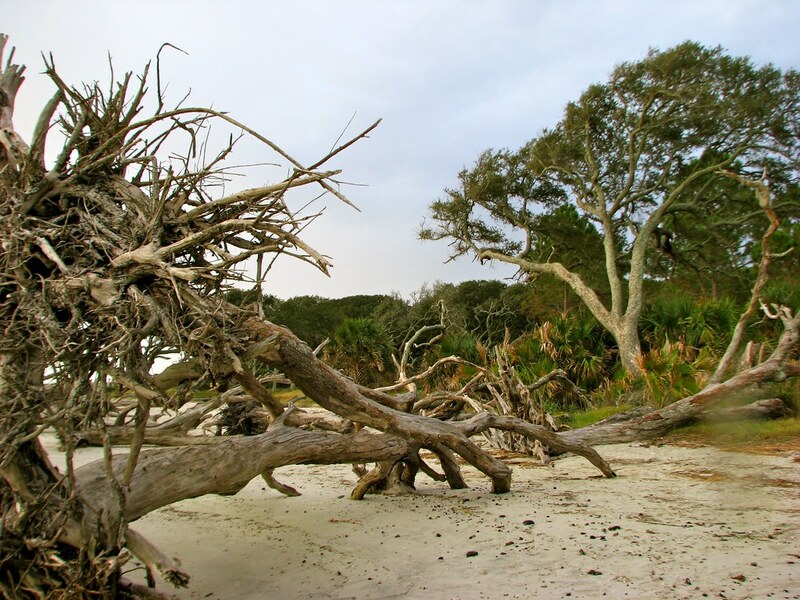 The area surrounding Skidaway Island, which is part of Georgia’s intracoastal waterway, is gorgeous and filled with nature activities. Take the kids out for some wildlife spotting and they’re likely to see deer, crabs, racoon, interesting birds and more. If you go out to Tybee Island, you can even spot dolphins. The campground itself is nestled underneath the region’s famous live oaks covered in Spanish moss, making it one of the most stunning campgrounds in the state. Brunswick is one of the most convenient locations for RV travelers on Georgia’s low country coast who want to experience the region’s more quiet, scenic beaches and islands. Golden Isles RV Park is perfectly located right at the intersection of I-95 and Highway 17, surrounded by everything from Starbucks and Dunkin’ Donuts to Flying J Travel Center and multiple gas stations. This location also puts you a quick drive from either Jekyll Island or St. Simon’s Island, two of Georgia’s prettiest coastal wonders. Whether you’re looking to visit Brunswick’s historic downtown or one of the multiple island beaches that sit a mere 7 miles away, this campground is ideally located. The on-site restaurant, Fran’s Restaurant, serves up southern style breakfast and lunch, and they even do one of the best seafood buffets in town. They accept a number of popular membership and discount programs, and the park offers a wide variety of sites that can accommodate almost any type of vehicle. While Hilton Head Island is just over the state line in South Carolina, it’s a beautiful part of the low country coast and just a short drive from both Savannah and Tybee Island Beach. The resort sits on the low country’s iconic marshy waterways just a couple miles down the road from the area’s most popular beach. It’s situated right in town, next to plenty of shops, restaurants, and even some nightlife. Daily/Weekly/Monthly Rates: Off Peak $65-85 depending on location, peak $70-90. Call for weekly/monthly rates. Class A, B, and C motorcoaches with a minimum length of 18 feet only. NO TRAILERS. No check-ins after dark, though limited parking outside the gate with electrical hookups is available for a fee. If it’s luxury you’re looking for, you’ll find it here. Hilton Head Island in general is a very high class vacation destination, and this motorcoach resort, located just down the street from Hilton and Marriott resorts, is no exception. From a full-service spa and bathtubs to 50 acres of palm trees and live oaks to tennis courts and a beach within walking distance, Hilton Head Motorcoach Resort has it all. If you have a bike, even better: the bike ride to and along the beach is stunning. Located just over the border in Hardeeville, South Carolina, this RV park’s spot on I-95 makes it extremely convenient and just minutes from the Georgia border. It’s also just 30 minutes from Savannah, Georgia, one of the most beautiful cities in America, and a straight shot out to Hilton Head Island on the South Carolina coast. For RV travelers who want to split their time between Savannah and Hilton Head, this is the place to be. Daily/Weekly/Monthly Rates $38-48, call for weekly/monthly rates. Call for specific site rates. Camp Lake Jasper sits on a 320 acre nature preserve, offering plenty of on-site outdoor activities and nature time for the whole family. 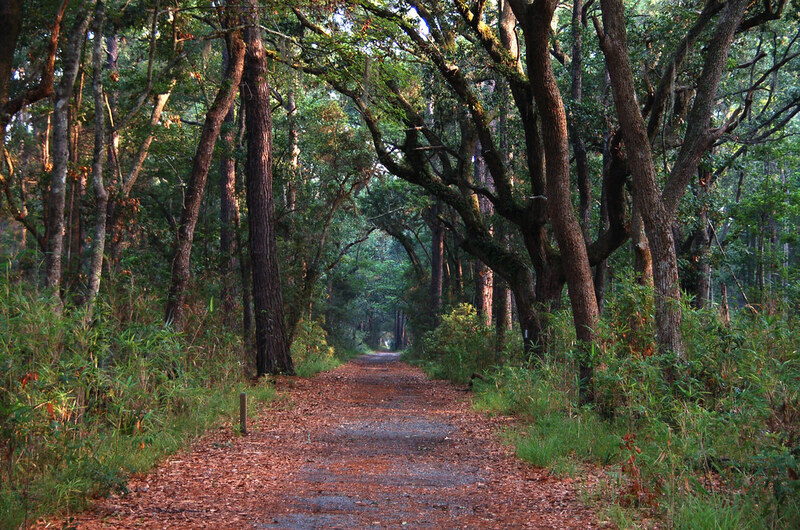 You can hike the camp’s trails, leading you through groves of live oaks and low country marshland, paddle through the on-site lake, or even enjoy the disc golf course or the pool. Golfing, shopping, dining, and beautiful Atlantic beaches are all just minutes away, while the campground itself is pristine and tranquil. In order to foster a sense of community, this Georgia low country coast campground hosts regular events such as breakfast meet and greets and craft beer and wine socials. Tybee Island is the closest beach to the historic city of Savannah and one of the most popular and iconic coastal destinations in Georgia. The main beach is popular and active without being overly crowded, and the small island offers many less populated beaches for those who want to get away from it all. River’s End Campground is perfectly located on the north side of Tybee Island, which is removed enough from the main drag to offer peace and quiet but close enough to still walk to many delicious seafood restaurants and lively bars. The north side of Tybee Island has some of the island’s most pristine beaches as well as a stunning historic lighthouse. River’s End Campground offers premiere access to Georgia’s most fun, family-friendly beach: Tybee Island. From this campground, you can easily walk out to quiet, uncrowded beaches, the historic lighthouse, the visitor’s center, and Fort Screven, all right at your doorstep. If you want to walk along the beach for 20 or 30 minutes, you’ll end up at Tybee Island’s boardwalk area, filled with sun bathers, surfers, activities for kids, the aquarium, and restaurants with bottomless crab legs and giant margaritas. You can even spot horseshoe crabs, turtles, and dolphins here sometimes. Red Gate Campground sits just south of the Savannah area near Hunter Army Airfield. It offers quick access to a number of major local sites — it’s just 15 minutes from downtown Savannah, 20 minutes from the picturesque Wormsloe Historic Site, and 20 minutes from Skidaway Island State Park. At the same time, it’s well-removed from the city area and has more of a rural feel. This campground is incredibly serene and scenic, offering waterfront campgrounds along the marshes of greater Savannah. The facilities are pristine, and the horseback riding, fishing pond, and gorgeous nature trails mean you don’t even have to leave to experience the beauty of Georgia’s low country. Situated just outside of downtown Savannah along the Ogeechee River, the Savannah Oaks Campground is the best way to experience the city of Savannah and the beaches of Tybee Island while staying in the rural marshes typical of the low country. Despite its remote feel, it’s conveniently located just off of I-95 just 20 minutes southwest of the city center. Savannah Oaks Campground gives you a little piece of nature in a larger city. The surrounding areas are scenic, peaceful, and relaxing, and the campground itself is the perfect coastal hideaway with a small, community feel. The onsite repairs make this destination even better. Only 8 miles from downtown Savannah and 30 miles from the beach, Sunshine RV Park is just off of I-16, convenient, and affordable. lose to the I-16. This smaller park is just down the street from a handful of restaurants, a travel center, and the intersection of I-95 for those arriving from Florida or South Carolina. This park is basic but affordable and has everything you could need, from laundry facilities and wifi to full hookups and cable television. Numerous reviews praise the hospitality and kindness of the park’s owner, and it’s not far from the intersection of I-95 and I-16, making it easy to get just about anywhere. This park sits right off I-95, making it incredibly easy to get to for those traveling along the Georgia coast or heading down to Florida. It’s right by all the amenities of Darien, Georgia, and it’s also just a few minutes from the massive Altamaha Wildlife Management Area, a region filled with beautiful marshland, canals, and local wildlife. It’s just inland from a cluster of many small islands that are only reachable by boat as well as the beloved St. Simon’s Island, which is easily accessible by car. This is a wonderful park to stay in for those looking to experience the quieter side of the Georgia low country coast. There are a wealth of small islands and waterway channels to explore in the area as well as some of Georgia’s most beautiful beaches. Darien, Georgia, where the park is located, is a quaint, small town that offers historic sites such as Fort King George and great southern comfort food. Southern hospitality is abundant here and the rustic feel gives visitors a true taste of the Georgia low country. Georgia’s low country coast is an ideal vacation destination for any RV camper, whether you’ve got the full family in tow or you’d prefer to hit up some of the country’s most pristine golf courses and warmest beaches solo. Few areas pack as much culture and nature into one region as the 100-mile Atlantic ocean stretch from South Carolina to Florida. Whether you’re looking for a cheap place to park it for the night off I-95 as you head south, or a full-blow RV resort on Hilton Head Island, you can find it with ease along the Georgia coast.